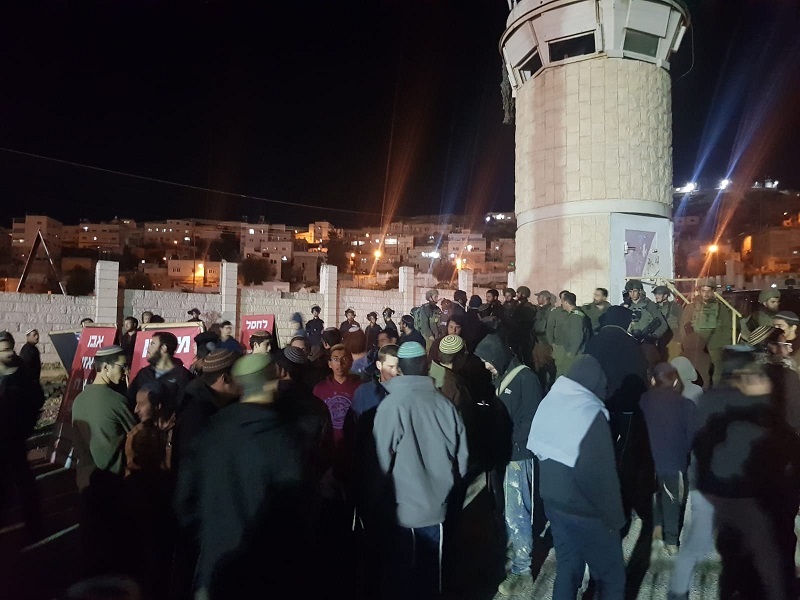 At least 150 young Israelis demonstrated in outrage Tuesday evening at the entrance to the Abu Sneineh neighborhood in the city of Hebron, home to Arafat Arfaiya, 29, the terrorist who murdered Tekoa teenager Ori Ansbacher, z’l last week. The demonstration was organized by activists of the Derech Chaim movement. Read: Ori Ansbacher’s Killer Confesses, Reenacts Murder On Site. The 19-year-old was carrying out her National Service at a youth center in Jerusalem at the time of the murder. Her body was found Thursday, unclothed with multiple stab wounds in the Ein Yael area of the Jerusalem forest, after she was reported missing. The demonstrators called for revenge and for elimination of the funds that continue to provide support to terrorist operatives — a stark reminder of the official “pay to slay” policy of the Palestinian Authority government. The government allocates at least seven percent of its annual budget to the payment of generous monthly salaries to terrorists incarcerated in Israeli prisons, and to the families of those who die while trying to kill Israelis, Jews and others in the country. A large number of Israeli police forces were deployed to Abu Sneineh and surrounds on Tuesday night. Organizers of the demonstration told the TPS news service, “The Israeli policy sees every terror attack as a “lone wolf” attacker and turns a blind eye to the supportive environment, to the encouragement and support for terrorists.